November 01, 2018, 9:52 a.m. Robot companions are on sale in Japan to help combat the country’s ‘loneliness epidemic’. Now, new YouGov Omnibus research explores British attitudes to the prospects of having robots as friends, partners, colleagues, and attendants. 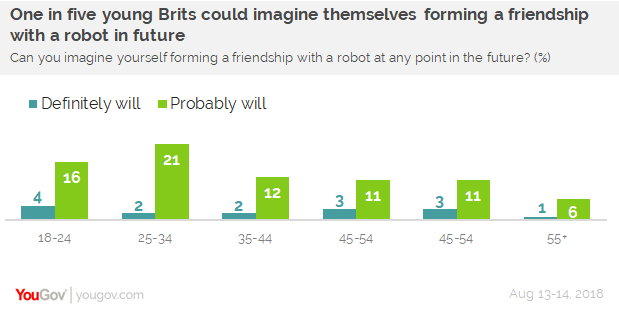 One in eight (13%) Brits can imagine themselves being friends with a robot in the future. This figure is highest among young people, with just over a fifth (23%) of 25 to 34 year olds and one in five (20%) 18 to 24 year olds saying they could ‘probably’ or ‘definitely’ see it happening. Older people are much less likely to see a robot friendship in the horizon, with just one in fifteen (7%) saying they &apos;definitely&apos; or &apos;probably&apos; could imagine it. By the same token, older people are more likely to think they would never be friends with a robot (53% of those aged 55+, compared to 29% among the under-25s). One in twenty Brits (5%) can imagine having a romantic relationship with a robot one day. Again, those aged 25-34 are most likely to see this as a possibility, with one in eleven (9%) saying they can either &apos;probably&apos; or &apos;definitely&apos; imagine it. Men are more likely than women to say they could imagine having a romantic relationship with a robot (7% vs 2%). Women are considerably more likely to rule out getting amorous with an android (83% vs 66% of men). However, most of us say a robot romance isn&apos;t on the cards. Three quarters (75%) of Brits state that they &apos;definitely would not’ imagine ever entering into a romantic relationship with a robot at any point in the future. Most Brits would not feel at ease about the prospect of working with a robot colleague at the same level as them, with six in ten (59%) being either &apos;fairly&apos; or &apos;very&apos; uncomfortable with the thought. 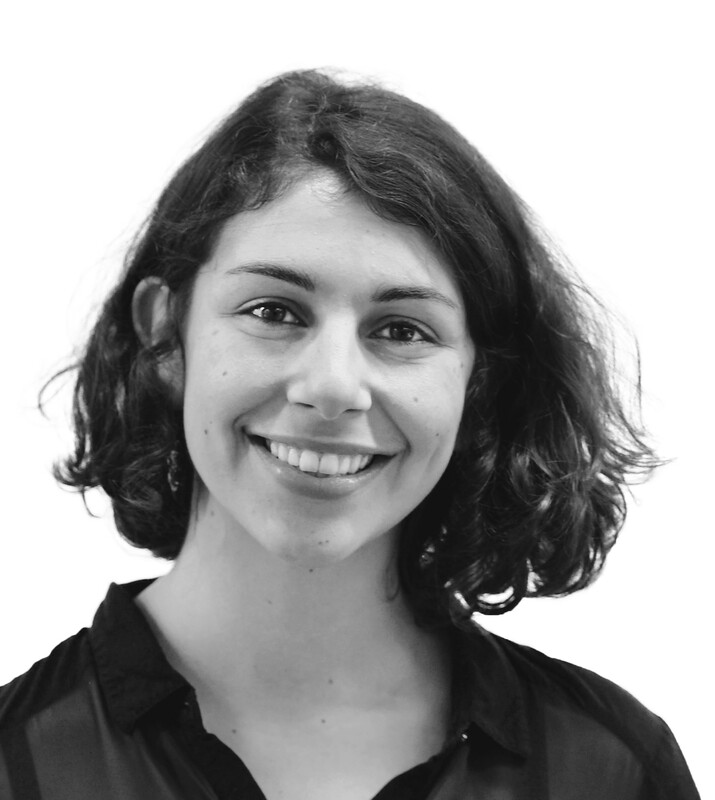 Just a quarter (27%) would be comfortable at the prospect – although support increases among younger people, rising to a third of those aged 18 to 24 (32%) and 25 to 34 (34%). Brits are even less enthusiastic about having a robot line manager. Just one in six (16%) say they would be comfortable being managed by a robot, with men being slightly more likely than women to be comfortable (20% vs 12%). YouGov also asked how Brits’ interactions with robots would differ to their dealings with humans in a service situation, were the robot able to respond to the tone and emotion in a person’s voice. Specifically, respondents were asked whether or not they would be ruder to a robot assistant or waiter that was providing poor service than they would to a human doing the same. One in three (31%) say they are more likely to be rude, with just 7% saying they are less likely to be rude. Half (48%) say it would make no difference.